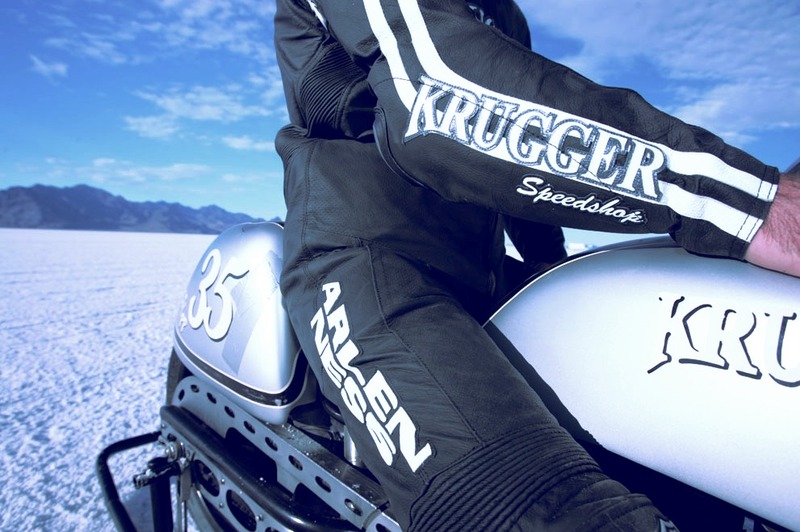 Freddie ‘Krugger’ Bertrand is a 2-time Belgian national enduro champion and a successful ex-rally driver, since retiring from going sideways on dirt, Freddie has turned his eye to motorcycle design with staggeringly successful results. 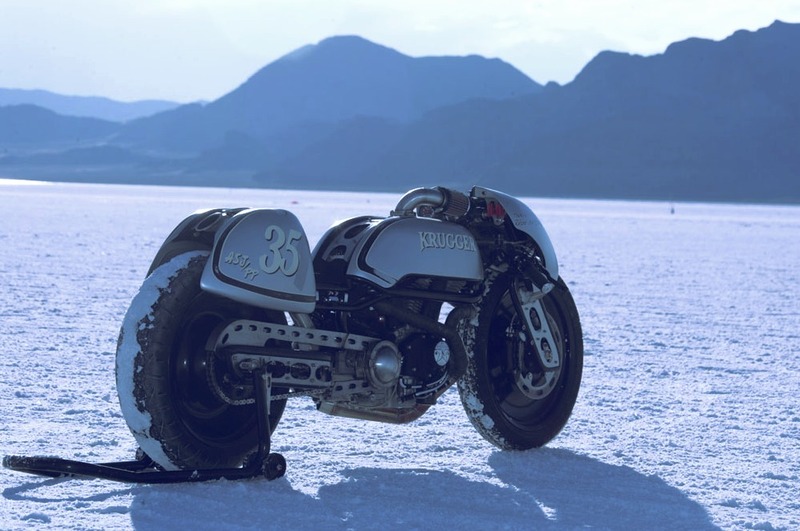 The bike you see here is the Krugger Goodwood, it was built by Krugger over a period of 6 months and when I say he built it, I really mean it. 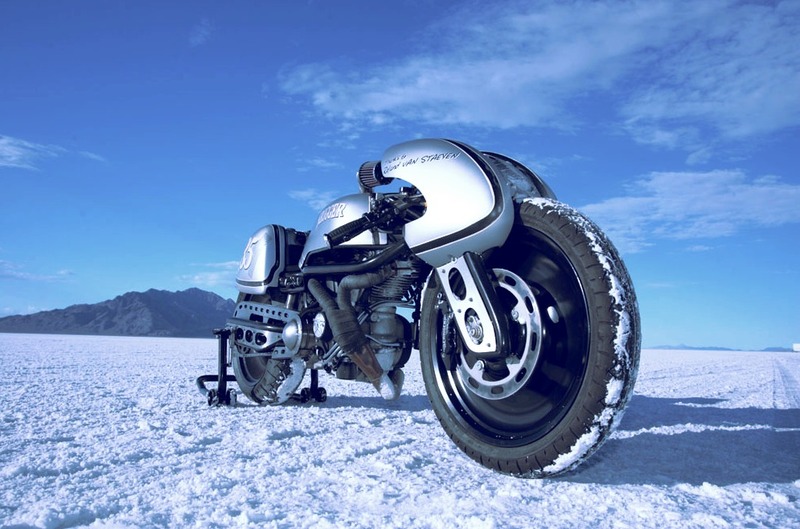 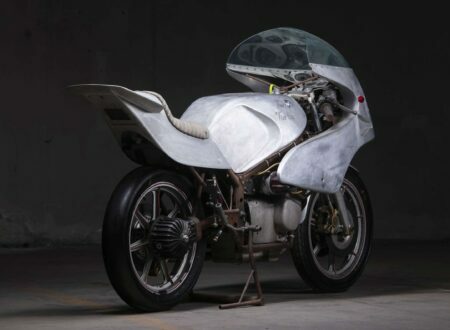 He created everything from the one-off custom frame to the hand-beaten body panels and when he was done, he shipped it to Bonneville and took it for a spin on the sodium. 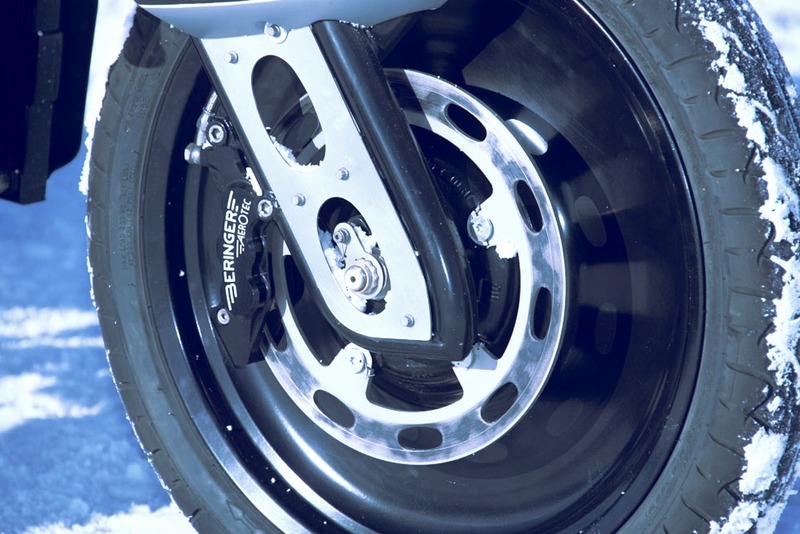 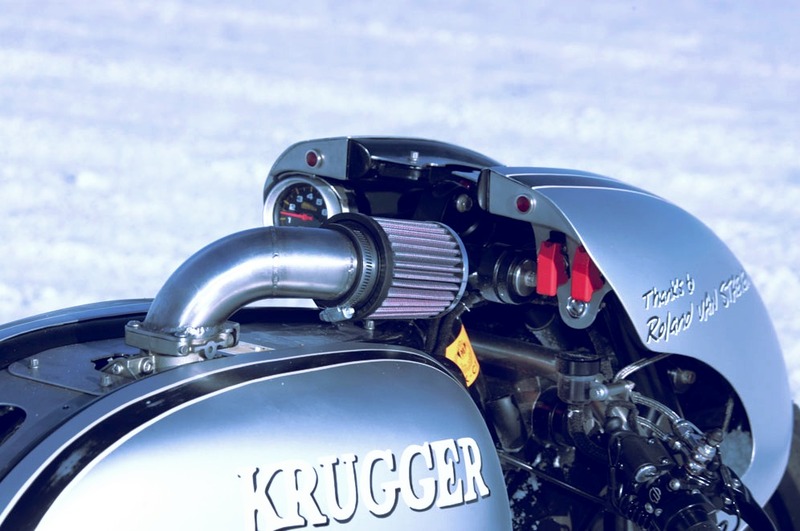 Freddie chose a Harley-Davidon/Buell V-Twin for the Goodwood, which he mounted to the underside of the steel trellis frame, he went for blade/girder forks up front enclosing Harley V-Rod wheels and twin 6 pot disc drakes. 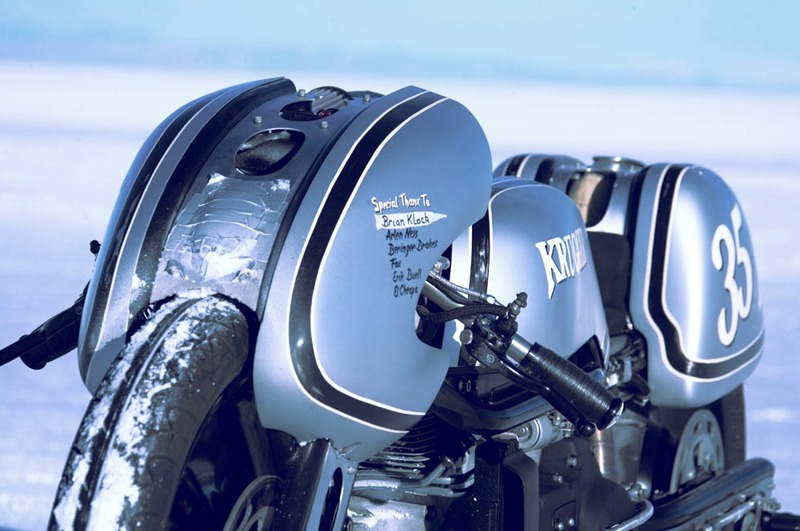 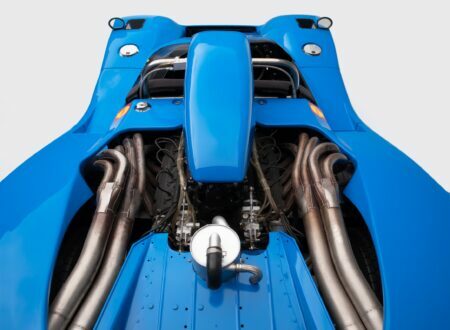 The low-slung, legs back configuration was designed specifically for low-drag runs at Bonneville, that fuel tank is actually an airscoop for the intake, with the real fuel tank sitting in the rear cowling. 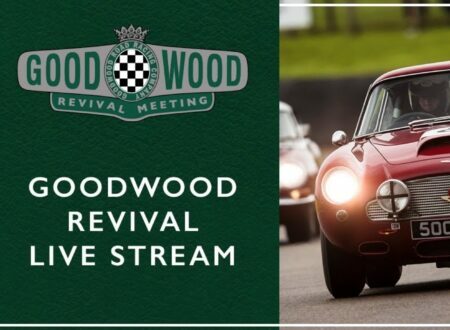 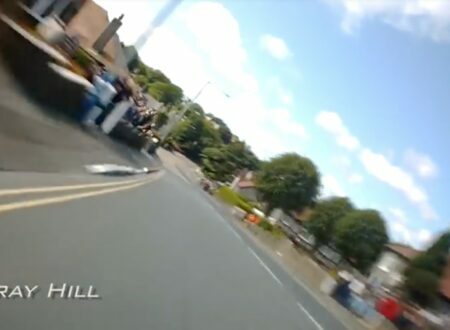 In some respects, the Goodwood almost seems like it should have it’s own racing series. 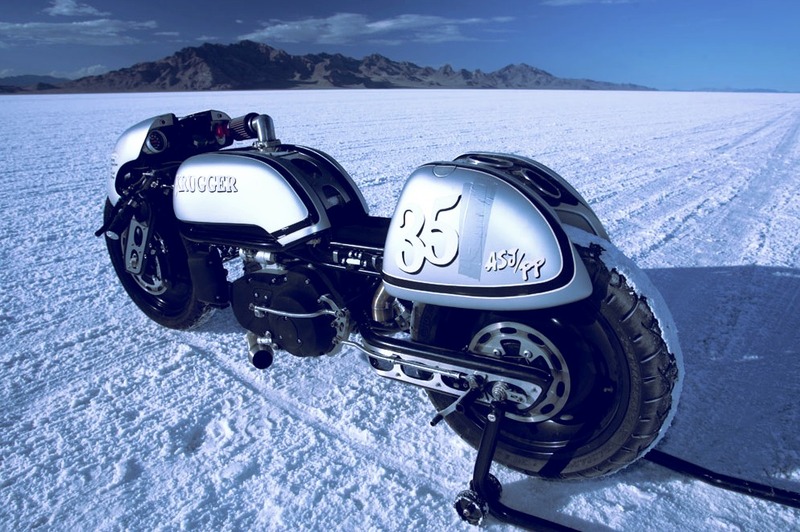 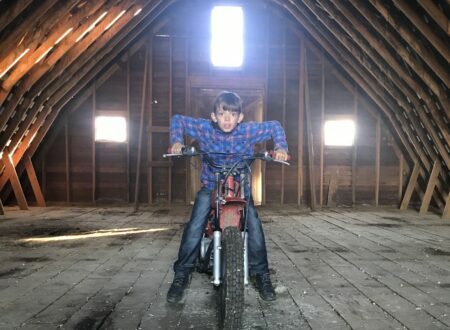 The design is at once both unique and handsome, and I think any red blooded male will agree that there’s nothing quite like the sound of a v-twin thundering across the salt in anger. 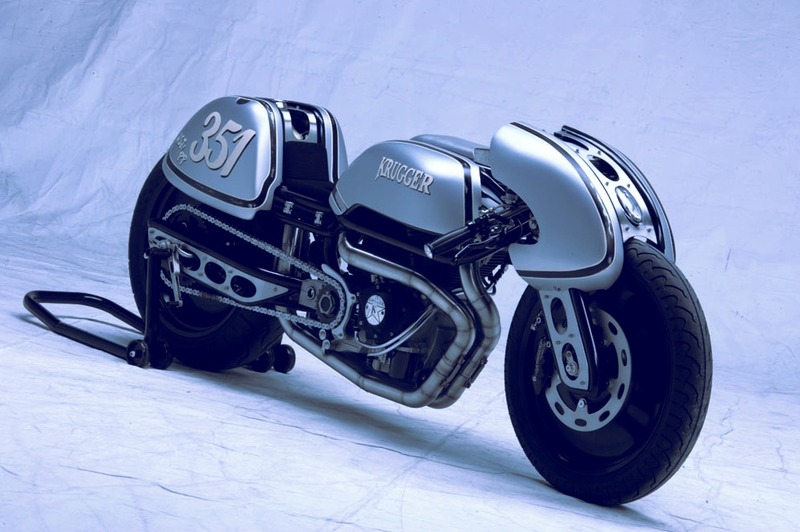 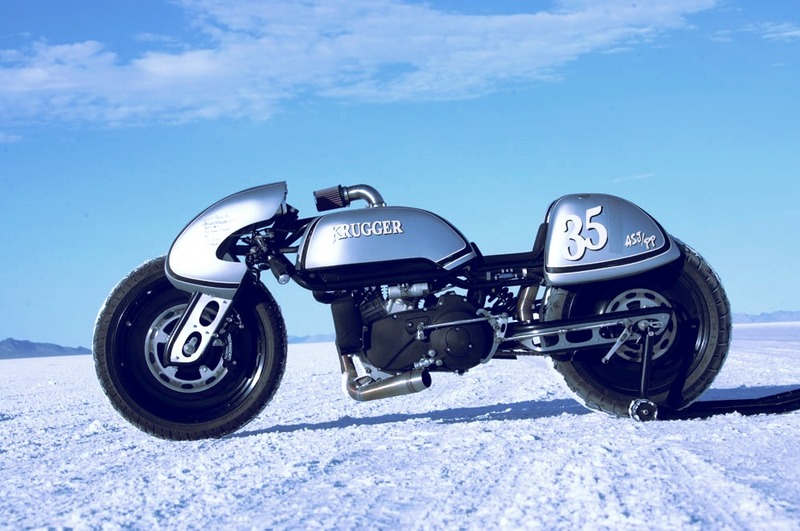 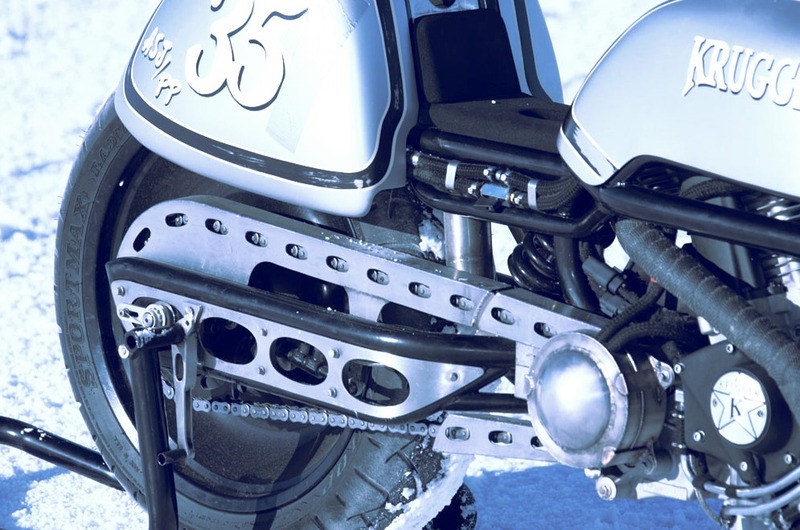 Krugger has built a stack of fantastic custom motorcycles over the past few years, if you’d like to see more, hit the link here.